Last Friday, I played AD&D for the first time. Well, kind of. You know I’ve been the DM before. But this time, I was a player…you know, controlling a player character. 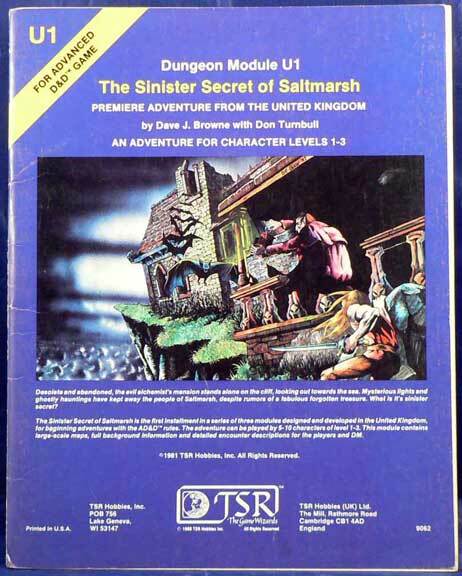 One of the players from Hommlet offered to run us through U1: The Sinister Secret of Saltmarsh, which is proving to be a mysterious and very fun module after only a first session. It can be hard for a GM to slip into the player’s seat and allow someone else to take over. So what did I learn from this experience, which I’ve had a few times before? How can a GM become a player with ease? Being a Game Master means living “in the weeds,” so to speak. You have to know the rules. You have to know the NPCs. You have to know the story trajectory. You have to be able to spin a lot of plates. But when you only have one plate to spin, it can feel…well…underwhelming! I’ll be honest: my first session as a player was a breath of fresh air. Not only did I want to see the mechanics of AD&D from the other side of the screen, I was really excited to play as a comrade alongside these players whom I really enjoy and appreciate as friends. That said, the newness will wear off. What do you do as a GM when you have that extra brain bandwidth to spend, but it’s not being spent? One excellent option, of course, is to put that mental energy into characterization. Here’s what I mean: think deeply about how your character would act and do it in character. You don’t need to keep up with twenty NPCs, their accents, temperaments, and histories. You have one character, which means it should be pretty darn good. Think about his voice. Think about her past. Think about what motivates them to act. And play it to the max. My favorite moments in last week’s session were conversations between by my depressed half-elf druid, Turóque, and the self-named self-loathing minotaur, Carcass. [Carcass’ life theme is: “The only good minotaur is a dead minotaur. And Carcass wants to be a good minotaur.”] One character has a low view of himself, the other has a low view of the world. And as they interacted, there were some truly provocative and memorable moments. Of course, another player called it the most depressing conversation ever spoken in D&D, but that’s another thing altogether. So, you’ve got extra brain space and creativity? Expend it on your characterization. Make your character come to life every moment that you can! Remember that you’re no longer the refereeEvery GM adjudicates things differently. That said, it can be hard to be a player while another GM wields the rules differently from your style. It can be hard to be quiet—it can be hard to agree to disagree. So what should you do? When you begin to notice a GM doing something different from your style, don’t interrupt him or her in the middle of the game. Instead, pay attention to how they do it. If it’s really a problem for you, talk to your GM after the game. But frankly, if it’s something as simple as what I mentioned above, you should be able to recognize, “Well, that’s different, but it’s really no big deal.” In the end, you’re not the Game Master. Quit worrying about the rules and just have fun! Don’t fill the silenceSilence is awkward for a GM. In fact, it’s much more awkward for GMs than it is for players. This is something I’ve learned from seventeen years of frequent public speaking. Silence always feels more awkward to the one leading the dialogue. And when a GM moves to the other side of the screen, silence can continue to feel more awkward than it really is. When there’s a silence at the table, close your mouth and redirect your gaze. Either look to the face/leader of your party or to the GM. When you fail to speak, somebody else is bound to. You can also ask a question, in character, to another player. This goes back to characterization again. Your character doesn’t have something to add to every situation. So defer when that’s the case! Sure, doing these things is still kind of leading the other players, but at least you’re not running the show. Of course, if you just can’t stand not GMing, this is also a great time to start a short-term side game. Get together a biweekly run at a new system you’re wanting to try. Try out online gaming for the first time! Or run a game for other GMs that never get to play! There are plenty of options out there for you, if you’re a GM who just can’t stand to not GM. Of course, I’m glad to have a break. I’m still making progress in my Chasing the Dragon project, but I don’t have to spin all the plates this time. And that’s something I’m totally fine with. 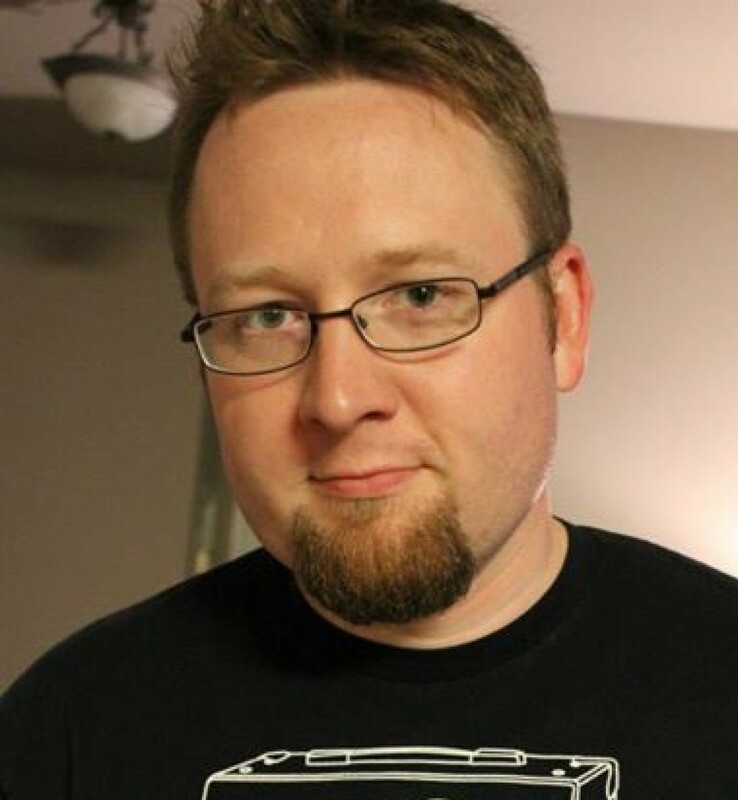 Many thanks to Jason Rush, whom you may know from this podcast, who is DMing this current campaign! I look forward to many more enjoyable sessions as a player, good sir. And all of you can expect many more articles to come as a result of our stint in Saltmarsh. I’ve been DM-ing since 1988. Since then I’ve been running a game almost bi-weekly, 90% of that time until now. Sometimes, it’s been more than one game. I must say that I hate, hate, hate, playing. My issue isn’t so much a control thing, or that I get bored, my mind wanders. It wanders on what direction I might have taken things, or ruled things, etc. That’s the exact thing that I find myself fighting! When you’re used to so much going on in your brain, it’s hard to rewire and retrain yourself.